If you’re considering building a modular home for the first time, you’re likely curious about how we transport your completed home to site. 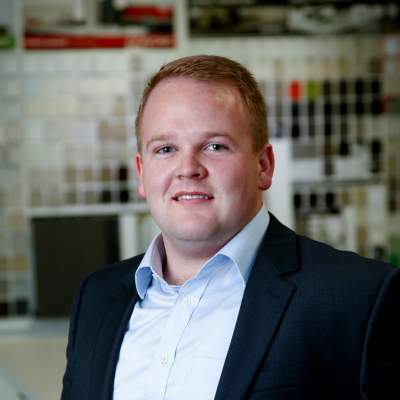 Many of our clients have questions and concerns about the logistics of successfully delivering their new home – from the stability of the house, to suitable road access and the challenges of installing on site. Each of our projects are unique, and over the years we’ve fine-tuned and adapted our transportation process. Every delivery is carefully planned and executed, and our clients are always thrilled to see their new home arrive and installed with precision and care. 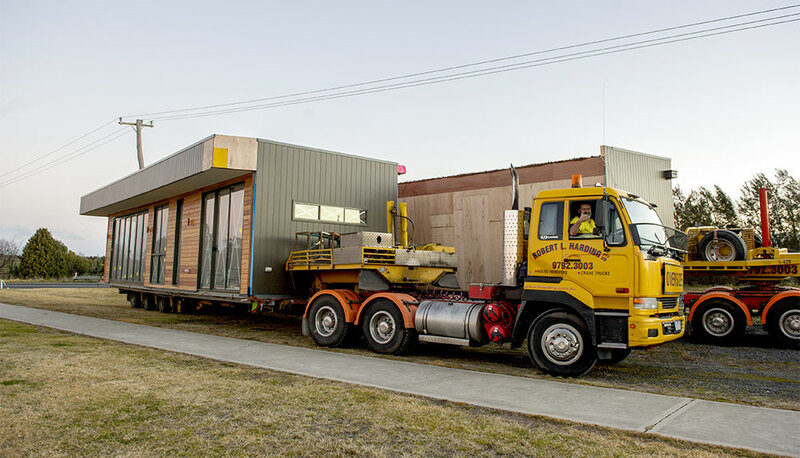 Of course, much planning and preparation is required to ensure our homes can be transported to your site without a hitch – so read on to find out how it’s done. For our homes to be able to withstand travelling over long distances on a truck, they must be built strong. 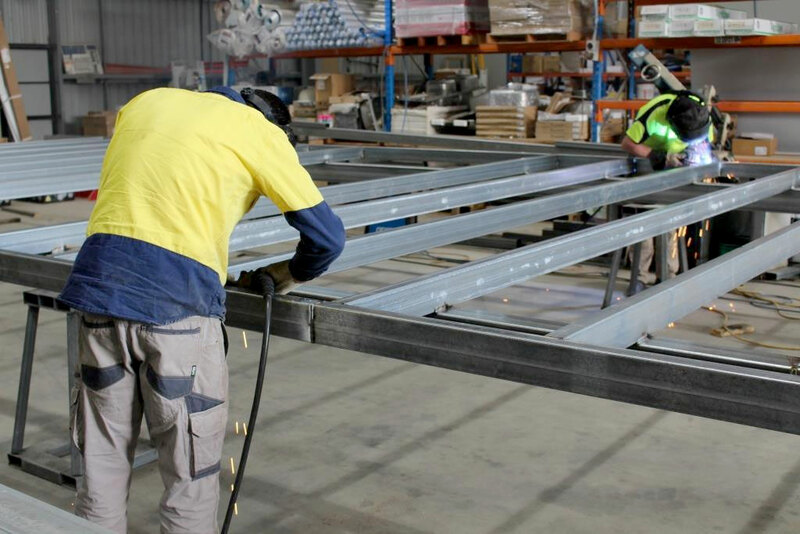 All our floor frames structurally engineered and are welded for maximum strength which provides structural stability and allows them to be lifted safely on and off the truck and travel to site without damage. Every home we deliver requires a permit to travel and must take the specified route that is decided by the local road authority. The size of the transport means we must travel with a pilot vehicle and take the over-dimensional truck route. This may not be the most direct path from our manufacturing facility in Stratford to your site. The road authority may also require our trucks to travel at specific times of the day through built-up areas to avoid traffic congestion, and/or to be accompanied by additional convoy vehicles. Traffic control may also be needed to navigate through highly-populated areas or if power line works are necessary. Once your home is built, each module is loaded onto its own truck and our facility is perfectly set up for this. 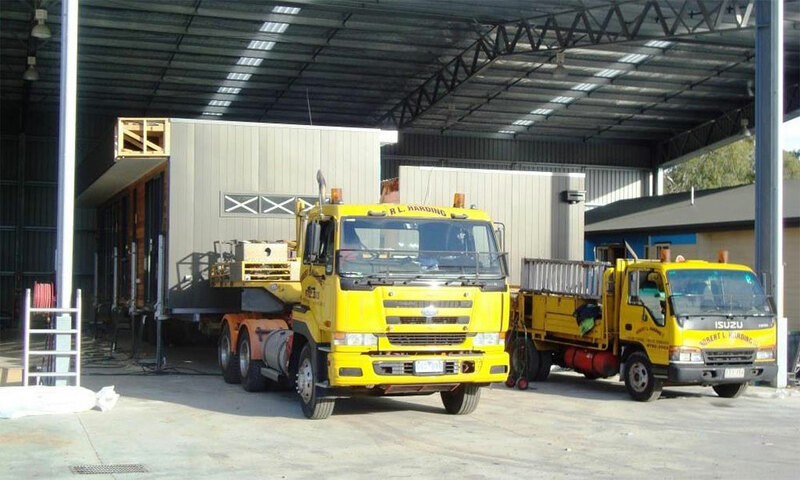 All of our drivers are house transportation specialists who have had plenty of experience loading, unloading and delivering large modular buildings. They simply reverse up and use a hydraulic jack to lift the module up and onto the flatbed of the truck. 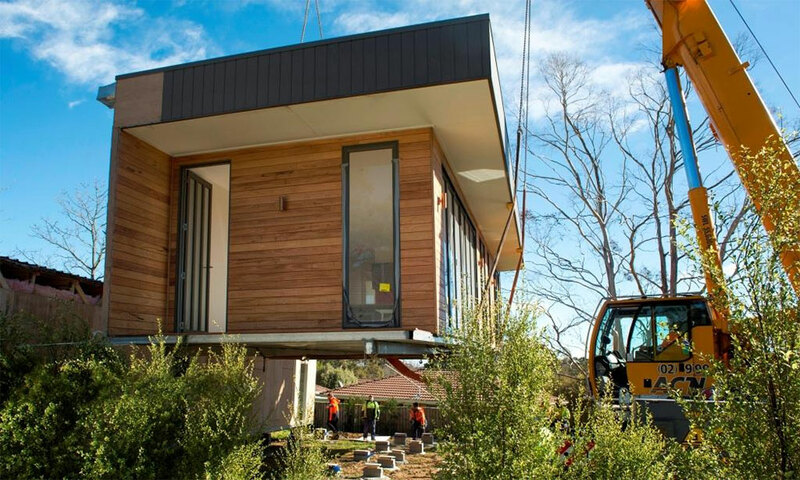 A crane may be used for double-storey homes. After the load is secure, they’re ready to go! The convoy will generally travel together, and the length of time it takes depends on the distance and restrictions of the route. For shorter trips through rural areas, your home may be on site within a couple of hours; or for longer distances, it could take up to 3 days. If there are travel time restrictions on certain parts of the route (e.g. through the city or busy urban areas) the trucks will sometimes need to be parked for a few hours, before setting off at midnight so they can avoid causing traffic delays. 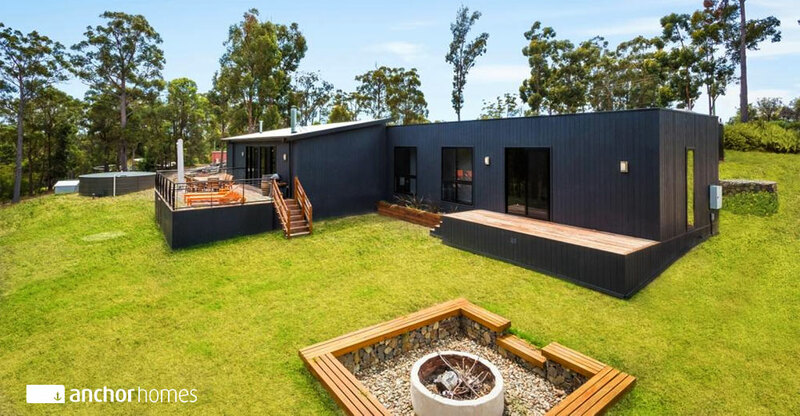 We currently deliver our homes throughout Victoria and much of NSW. The cost of transport up to 150kms from our Stratford facility is included in the base price – however, keep in mind that the truck may not be able to travel the most direct route due to traffic authority conditions. Also, on rare occasions, there can be additional charges when delivery is within 150kms if traffic control or extra convoy vehicles are required. For delivery outside of 150kms, costs are calculated based on the number and size of modules, distance to site and requirements of the route, and an estimate will be provided during the design stage. Once your home arrives on site, it’s installed onto the footings that have been prepared by the on-site crew. How your home is unloaded will depend on the features and access of your site. Approximately, 70% of the time, there is sufficient access for our trucks to drive to the build site and unload using the hydraulic jack (which is a standard inclusion). As the trucks are designed for delivery of homes, they can overcome many challenges, including narrow gates. Two-storey homes require a crane to unload and install, and land that is sloping or has limited access, may also require a crane. If a crane is required, the additional cost will be discussed and included in your quote. 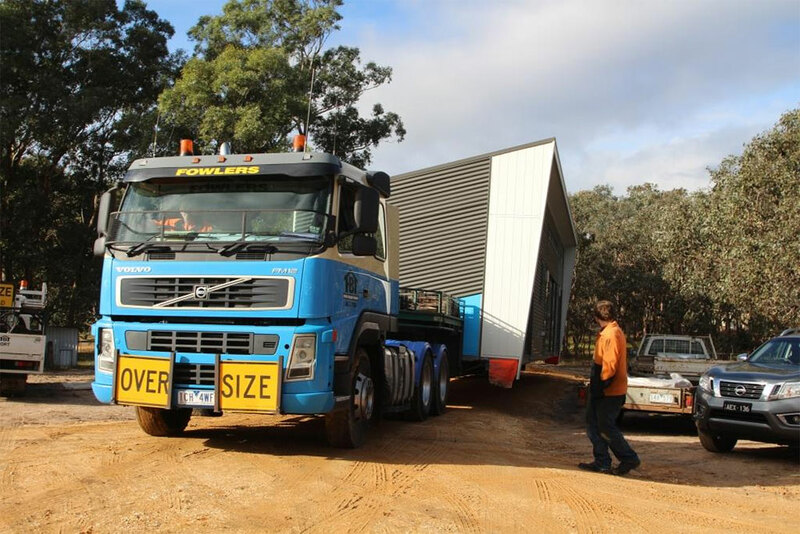 When it comes to transporting homes, we have delivered modules of various sizes and shapes to sites that present just about any challenge you can think of! This level of experience allows us to deliver you home to site safely, efficiently and with zero stress for you. Do you have a question or concern about a modular home delivery to your site? Our team are always happy to help! Simply post a comment below, visit us on Facebook or get in touch on (03) 8736 9520.